This beautiful city located on the coast of Tuscany is a pleasant way to spend any day. Pisa, Italy is in the Italian Maritime Republic, located on the gorgeous western coast. In the city’s main piazza, you can find the city’s primary attraction, the Leaning Tower of Pisa. 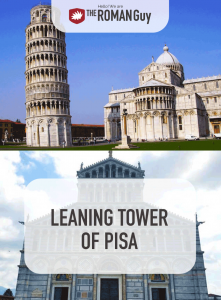 In this guide, learn about what to do in Pisa as well as some incredible Leaning Tower of Pisa Facts. 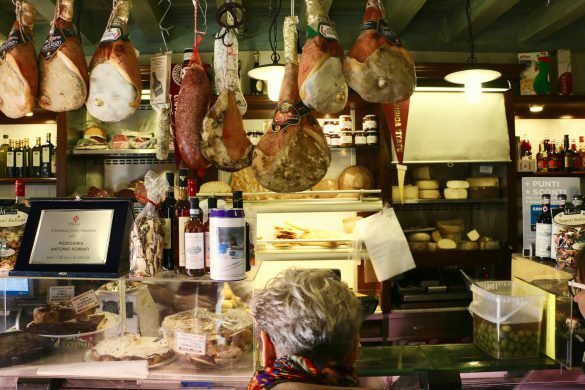 After spending a few days checking out some of our best Florence tours, you may want to explore the Tuscan region outside of Florence. To explore Pisa, join us on our Private Pisa Day Trip with Lunch in Vinci from Florence. Donated to UNESCO as a World Heritage Site, the Piazza dei Miracoli is the main square in Pisa. The piazza encompasses three of the most visited sites in Pisa and wraps them all up together so you don’t have to travel far to get to all of them. The Basilica, Baptistery and Bell Tower are all here in the Piazza dei Miracoli waiting for you to visit them. Otherwise known as the Torre Pendente di Pisa, the Leaning Tower of Pisa is the most famous attraction that Pisa has to offer. Why is the Leaning Tower of Pisa famous? Well, the foundation that the Leaning Tower was built upon was extremely poor, and therefore, the tower started to tilt. This was not common knowledge to architects Guglielmo, Bonanno Pisano and Diotisalvi, who built this masterpiece. A few years later, the structure started to lean. The tilt was inevitable, yet unintended, and the fame that came along with the structure was unpredictable. The structure’s longevity is nothing short of extraordinary. Leaning Tower of Pisa Height: The tallest side of the Tower of Pisa measures out to 185.93 feet, while the shorter side of the tower. measures out to 183.27 feet. The difference between the two sides is a whopping 2.66 feet, how deceiving! The tower only looks vaster because of the way that we view the tower in pictures and in person. What is the Leaning Tower of Pisa made of? The tower is made of white marble. Leaning Tower of Pisa Location: The Leaning Tower of Pisa is located in the city of Pisa, located in the region of Tuscany, in Italy. Specifically, it’s in Piazza dei Miracoli. 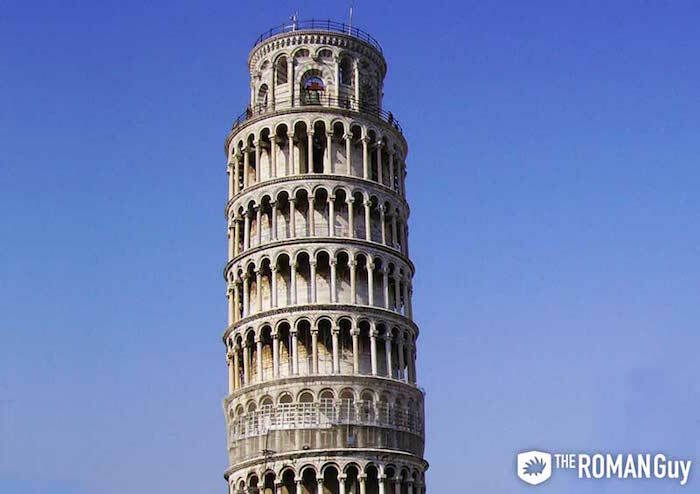 Can you climb the Leaning Tower of Pisa? 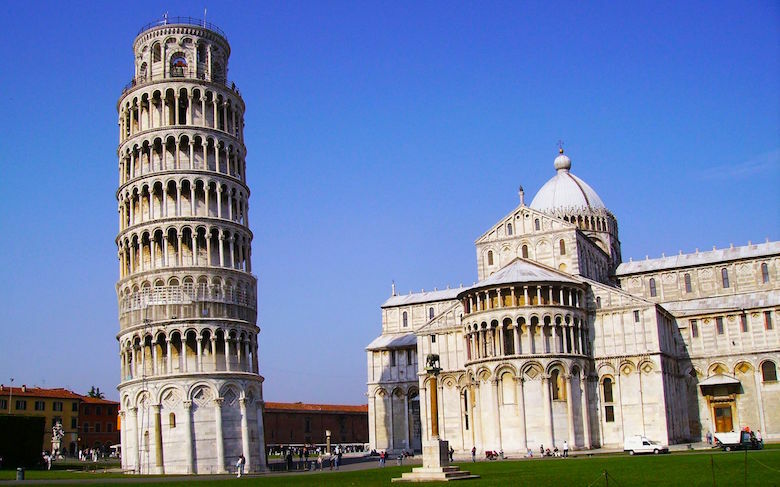 Yes, you can buy Leaning Tower of Pisa Tickets when you get there, or online beforehand. Known as the oldest structure in the Piazza dei Miracoli, Pisa Cathedral is a medieval Roman Catholic cathedral dedicated to the Assumption of the Virgin Mary. Construction of the cathedral began in 1063. Since other cultures were crucial in the funding the cathedral’s construction, their influences within the Cathedral’s architecture are very prominent. Among the Romanesque style featured in the architecture, there are also Classical, Lombard-Emilian, Byzantine and Islamic styles showcased within the cathedral. 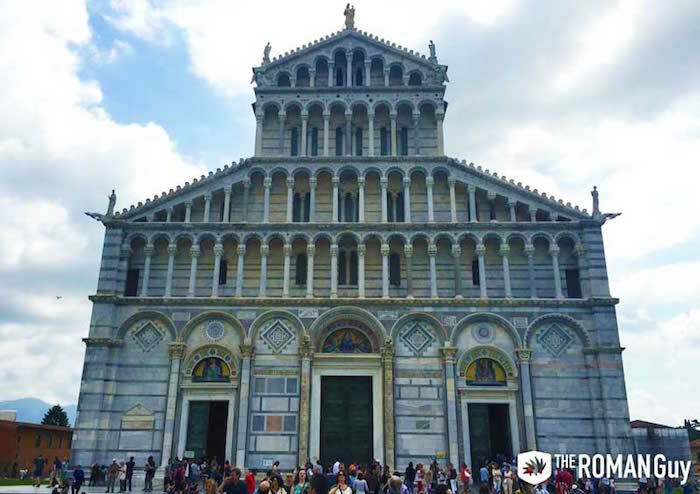 The Cathedral of Pisa had a strong rivalry with Saint Mark’s Basilica in Venice, both built around the same time, to see which church could be the most luxurious place of worship in the Maritime Republic. The extravagant exterior is complemented by a rich interior and features the Pulpit, a masterpiece of Italian Gothic Sculpture sculpted by Giovanni Pisano. 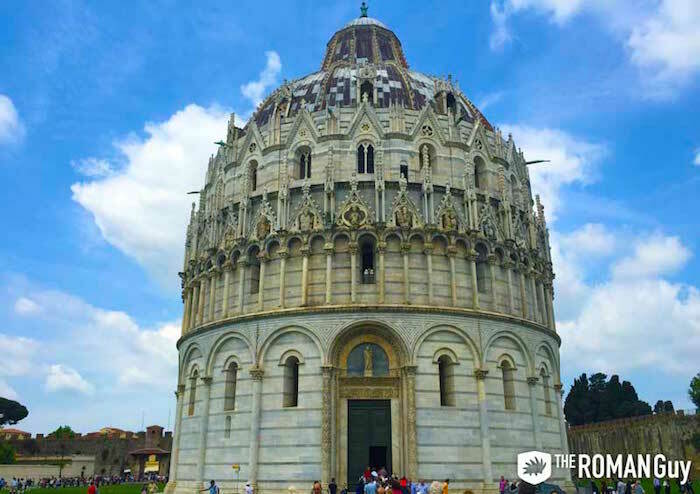 The Pisa Baptistery of St. John is a Roman Catholic Ecclesiastical building and is the second oldest structure in the Piazza dei Miracoli dating all the way back to 1152. The architecture of the Baptistery transitions from Romanesque styles to Gothic styles throughout and is also constructed entirely out of Marble. In the center of the Baptistery is a grand statue of none other than St. John the Baptist, sculpted by Italo Griselli. The baptistery features incredible acoustics, and sometimes, you can even catch a classical vocalist harmonize with their own voice through the magical reverberations off of the Baptistery walls. Did you know that there is a large Jewish Cemetery in Pisa? Just outside the Piazza dei Miracoli is one of Pisa’s hidden sights, the Cimitero Ebraico di Pisa. This is one of the oldest ancient Jewish burial grounds dating back to the 1600’s and is still in use today. Despite the heavy Catholic background that Pisa is associated with, the Jewish community actually has a long history here. When walking around the cemetery, you might notice stones on the tops of the graves. Stones are placed on the tops of tombs out of respect, just as flowers would be strewn across the tops of a loved one’s grave. The stones are used because unlike flowers that wither and die, they remain intact on top of the graves. The stones were not the only things left behind, you can also see inscriptions of Hebrew engraved into the walls of the cemetery and on the graves. 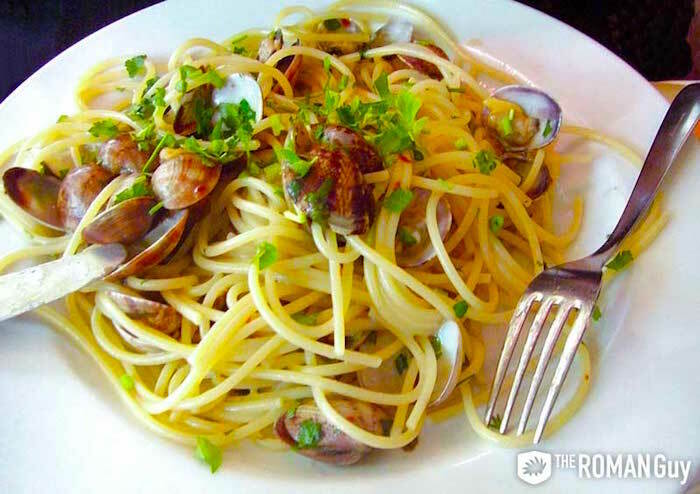 Since Pisa is located in the Maritime Republic, most of the cuisine here is seafood based. 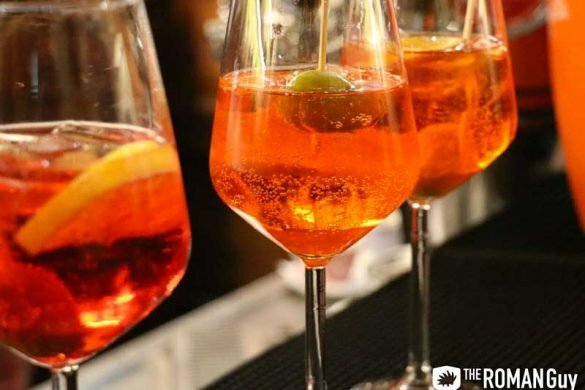 Here are a variety of interesting and scenic eateries to explore while visiting Pisa. La Grotta is a medieval grotto themed dining experience. The restaurant makes a delectable thick pasta called Pici and their cheese plate is delicious. 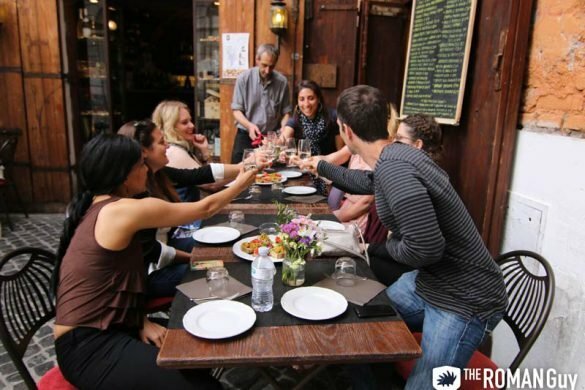 In contrast to the inside grotto, you can dine outside at Il Peperoncino. This cute and quaint restaurant serves every meal street side and satisfies every appetite. I Sette Nani is a ‘dining on the sea’ experience. This restaurant caters to your dinner and late night cravings and has a delicious seafood menu. The views looking out and over the water are amazing and add the perfect touch to this already exquisite meal.